Imagine living in an architecturally significant home, tucked away on a private wooded lot, that overwhelms from the moment you enter with angled walls, tall ceilings, lighting that complements each room and of course, walls and niches designed for fabulous artwork. An abundance of windows allows incredible views of the pool and mature grounds. This is main floor living at its best! 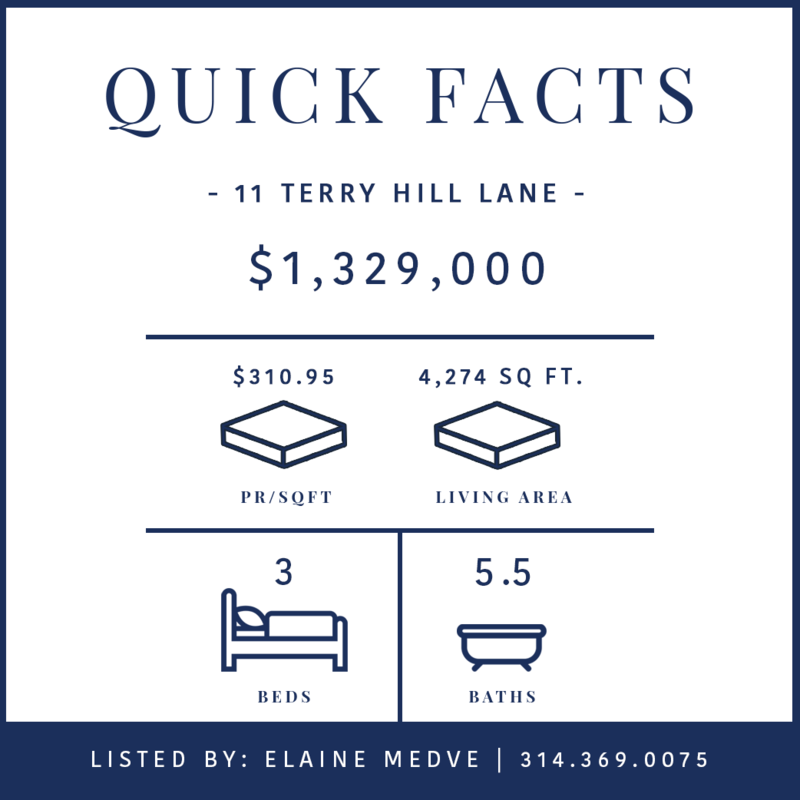 11 Terry Hill Lane is contemporary in style and thoughtfully designed by the renowned architect, Ted Christner. It is built to commercial standards and maintained in the finest fashion. Entertaining is seamless with a dramatic great room, a classy bar, opening to an oversized dining room which flows into the kitchen. Highlights include a Master Suite with his/her baths & dressing areas, second bed/ suite, office/guest room, intimate family room, finished playful lower level, 3 car garage, generator, pool house and more. There is nothing ordinary about this home.